It's long been said that when Apple makes a decision on a product or enters a market, it influences all the other players. It looks like that same thing is happening in the world of smartwatches now. The new forecast from IDC credits Apple adding cellular to Apple Watch Series 3 with boosting the smartwatch market. There are two reasons for this. One, cellular carriers are excited about being able to attach another device to cellular plans, and, two, it focused consumer attention on smartwatches with connectivity. 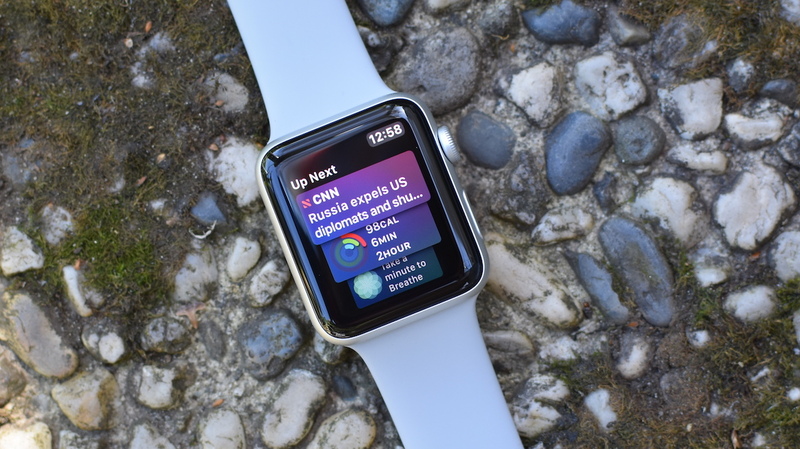 IDC believes its only a matter of time until Apple's competitors also begin to add cellular to its smartwatches, which will in turn inspire developers to build apps that take advantage of cellular capabilities, which will in turn get consumers using more smartwatches. As for Apple's competitors, IDC forecasts that Google and its new Wear OS will come in second place. However, Jitesh Ubrani, senior research analyst for IDC mobile trackers, says Google's biggest competition will come from Android-based smartwatches (no, not the artist formerly known as Android Wear). "We anticipate Android-based watches to be WearOS' closest competitor due to the high amount of customization available to vendors and the lack of Google services in China," he said. Google services are not available in China, which makes it unlikely that Wear OS will gain much foothold in the large Chinese market. Chinese companies will work around this by using Android to build out their own, forked versions of Android. In 2018, IDC sees 8 million shipments of Android-based smartwatches and just 5.4 million shipments of Wear OS smartwatches. By 2022, this will even out a bit more, forecasts IDC, with Wear OS having 19.6 million shipments and Android-based smartwatches accounting for 17.4 million shipments. The rests of IDCs forecasts reinforce what we've known for a while now: Smartwatches are going to dominate, and fitness trackers will wane. In fact, by the end of 2022 IDC forecasts that smartwatches will make 44.6% of all wearable shipments. Meanwhile, fitness tracker shipments will stay flat for the next couple years, after declining 6.6% in 2018. On top of that, selling prices for fitness trackers are expected to drop $50 by 2022.